Then and now: Haize Rangihuna (left) and Chaleigh Rangihuna are still finding benefit in the free support services being offered by Te Kupenga Hauora - Ahuriri. PART of the vision of Te Kupenga Hauora -Ahuriri is to be able to offer life-long support to whānau in our community and a good example of this are Chaleigh and Haize Rangihuna (17). When they were just 18-months old they featured in Te Kupenga Hauora - Ahuriri’s promotional materials when their then nurse, now doctor, Aria Graham looked after them as part of the Tamariki Ora service. More than 15 years later, they are now being supported by Youth Navigator Kylee Stok as they navigate their way through their last year of secondary school. The twins are two of six siblings who were all under five years old, at the same time. “We only had a five-seater car so having the nurse come and visit us in our own environment at home was a really big help,” explains Mum Chelsea. Over the years her and her husband have also accessed Whānau Ora services through Te Kupenga Hauora - Ahuriri in order to improve and maintain wellbeing. Chaleigh and Haize reconnected with Te Kupenga Hauora - Ahuriri through the Youth Expo at Pettigrew Green Arena in 2017. 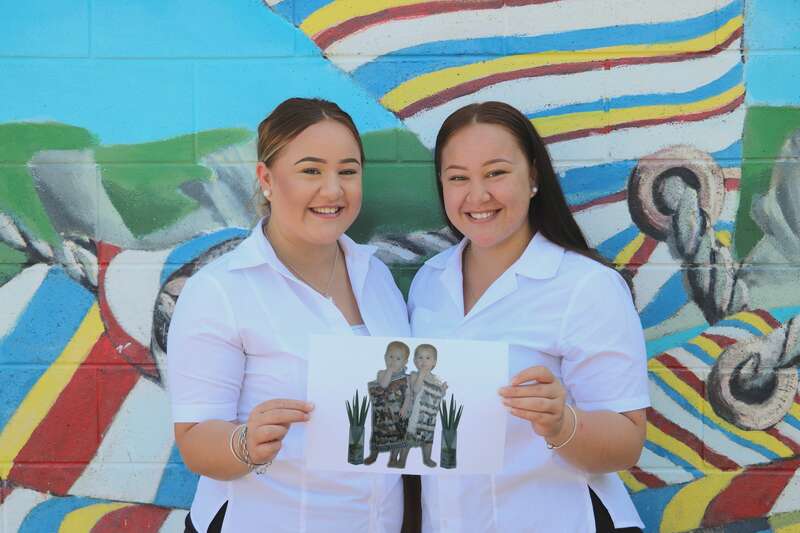 They are both involved in leadership at Tamatea High School as mentors in their Tuakana/Teina Programme and have aspirations to next year study towards careers in the beauty industry. Kylee finds them a dream to work with. “They are motivated and easy to engage with.” However, this isn’t the case with all teens the Youth Services team awhi and Kylee understands how difficult this stage in life can be for rangatahi. “It’s different these days kids feel like they can just bounce out of school. There’s peer pressure and life pressures. We’re hereto help them stay on track or get back on track,” she says. Although the twins are focussed and tracking well, they both have found benefit in having Kylee there for them. “It’s good knowing I have someone to go to if I feel like I can’t talk to Mum or a friend about it,”says Haize. “It really does make a difference,” adds Chaleigh. The Youth Services team can assist 16-17- year olds that may or may not currently be in education. To find out more, call 06835 1840 and ask for Youth Services.